After the massive demo in Munich against in Bavaria last Thursday, Bavarian parliament voted for the the new police law last night. After series of massive demonstrations against the new police law in the German state Bavaria, Bavarian parliament voted for the new law last night. During the day there was a demonstration of students in Munich. Several 1000 students went on strike and took the streets to protest against the new police law. Soweit das Auge reicht: Schüler*innen und Jugendliche gegen das #PAG! 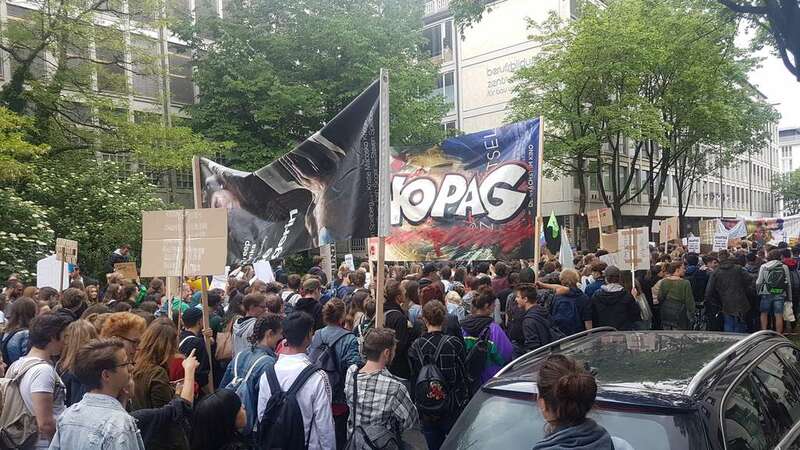 ♥️ Unser #NoPAGJugend Schüler*innen & Jugend Protest ist gestartet! #NoPAG und viele sind unserem Aufruf gefolgt. 📣 Also liebe #CSU, bevor ihr das heute entscheidet, schaut euch das hier lieber nochmal an! ✊ – Mehr Infos & Material folgt! After parliament voted in favour of the new police law there were spontaneous protests in Bavaria. In the coming days we will publish a more detailed article about the new police law, several other German states are working on similar police laws. Enough is Enough need your support.